State Employees’ Credit Union (NCSECU) is based in Raleigh, North Carolina and is the second largest credit union in the United States with over 2.1 million members and approximately $37 billion in assets. It’s come a long way from its humble roots back in 1937 when employees of the State of North Carolina cobbled together $437 to incorporate the State Employees Credit Union, SECU. These days, the credit union is primarily for employees in the state of North Carolina as well as family members or current SECU members. And with 256 branch locations and over 1,000 ATMs, it is easily accessible. Whether you are looking for loan products, debit or credit cards, insurance and investments, or estates and trusts, State Employees’ Credit Union has much to offer. Who Is Eligible To Become A Member Of NCSECU? If you are already a State Employees Credit Union member looking to find the nearest ATM or branch, visit this branch & atm locator which will direct you to the closest ones in your area. All you need to do is enter an address and it will automatically connect you to the closest branches and ATMs. State Employees Credit Union provides auto loans, mortgages, and personal loans. If you are considering joining NCSECU or you are a member looking to borrow money, you will find a vast selection of loan products and services. The Credit Union offers fixed rate financing for new vehicles for terms of up to 8 years and up to 100% of the Manufacturer’s Suggested Retail Price, or MSRP, in addition to an extra 25% to cover taxes, warranties, and other expenses. The rates for 3 year terms when borrowing to purchase a new car are as low as 2.75% using Payroll Deduction or Funds Transfer Pay and up to 5.75% for 73-96 month term Direct Pay loans. Used vehicle loans are available too for terms of up to 6 years. You can borrow up to 125% of the value of the vehicle based on the NADA retail value and the vehicle is held as collateral until the full loan is repaid. The rates for used car loans start at 5.25% APR using Payroll Deduction or Funds Transfer Pay and cap out at 5.75% for Direct Pay. A helpful feature offered by NCSECU is an impartial car valuation service. Whether you are looking for a new or used car, NCSECU can help you offset the uncertainty of buying at a fair price. You can easily search for a vehicle make/model, select interior/exterior features, browse vehicle summaries, technical specifications, incentives, and warranties, and compare invoice prices with MSRP values. State Employees Credit Union provides fixed rate mortgages, adjustable rate mortgages, and home equity lines of credit. The maximum term for a standard 5-year adjustable rate mortgage is 30 years, meaning the interest rate can only be changed every five year period. The more money you deposit initially and the lower the loan-to-value ratio, the lower your interest rate will likely be. An origination fee of 0.75% is charged with a cap limit of $1,500 but you won’t be charged credit report fees or application fees. And private mortgage insurance is not required. As much as 110% financing is available for “no cash out” single family primary residences or “no cash out” refinances. But if you want to take out a loan to purchase a rental property, you will be limited to 80% financing. You can apply for a fixed rate mortgage for a primary residence, second home, or rental property provided you are a credit union member and reside or own property in North Carolina. The interest rate you will be charged depends on the type of mortgage, number of dwelling units, occupancy status, and purpose of the loan. Regardless of which fixed rate mortgage you may select, you will not be required to take out private mortgage insurance. Fixed rate terms can be as short as 10 years and as long as 15 years with monthly and bi-weekly payment options. The origination fees charged are 0.75% of the loan amount with a limit of $1,500, but no application or credit report fees apply. Home equity lines of credit are available for primary residences, second homes and rental properties in North Carolina, South Carolina, Georgia, and Virginia. It is a secured open-end variable rate loan that allows you to borrow against your home equity. You can receive advances repeatedly over a 15-year draw period up to the maximum loan amount. And you can borrow up to 90% of the value of your home without being charged any origination fees or discount points however processing fees up to $1,600 may be applied. To give you an idea of how much you would pay monthly for a home equity line of credit on a home valued at $150,000 where you borrow a full 90%, here’s a quick home equity line of credit calculation. 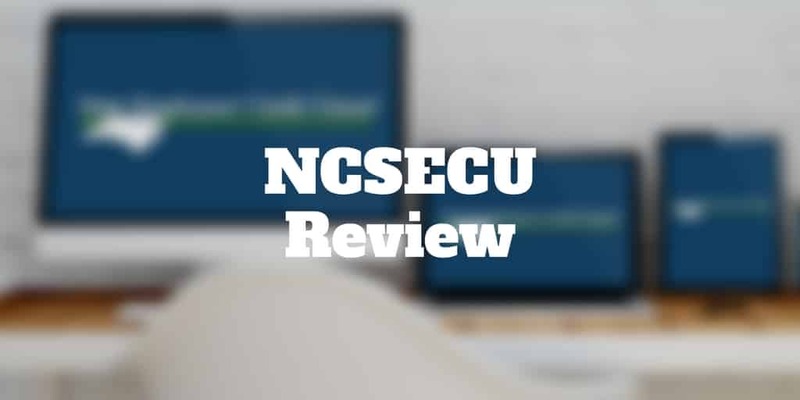 NCSECU offers a wide variety of accounts, including checking, savings, Coverdell and 529 plans. SECU checking accounts offer 0.25% interest, which may not seem like much but it’s a quarter point more than most banking institutions offer on checking account balances. Dividend payments compound daily and are paid monthly but you will be hit with a maintenance fee of $1 each month. Nevertheless, the silver lining is the fee is automatically donated to the SECU Foundation unless you specify otherwise. You also receive overdraft protection for two days per year, online BillPay service, 50 free checks per statement period, and debit cards for purchases and ATM transactions. No minimum balance is imposed. To become a member of the State Employees Credit Union, you need to open a Share account. A minimum $25 is required to open a Share account and a $25 balance must be maintained. Balances earn 0.75% annually and no service charge is applied to the account. The major restrictions on Share accounts are no check-writing privileges and no Automatic Clearing House (ACH) debits. Coverdell accounts are designed to help save for elementary, secondary and higher education expenses. The current interest rate is 1.51% APY with a $25 minimum opening deposit. You don’t have to be a parent to open an account for a beneficiary. Grandparents and other individuals can set up Coverdell accounts too. The way it works is that after-tax dollars are contributed and then earnings grow tax-free. An NC 529 Plan is designed to help save for college costs and requires a minimum contribution of $25 and a maximum balance of $450,000. The NC 529 Plan has 14 investment options, including the SECU Federally-insured Deposit Account. Health insurance, auto insurance, life insurance, annuities and medicare supplement plans and investment accounts are available at NCSECU. When you decide to retire, a fixed-income annuity can offer a predictable income stream but be wary of the fees you may pay upfront. NCSECU annuities require a minimum $5,000 deposit but are only available up to age 80. You will receive a 5 year interest rate guarantee and a 5 year surrender period. Plus, an annual 10% penalty-free withdrawal provision applies. The NCSECU is only available to North Carolina residents. Whether you are looking for health insurance, car insurance, or life insurance, you can find lots of options with SECU. SECU represents Blue Cross and Blue Shield of North Carolina® as an authorized agency. When it comes to life insurance, you can get Whole Life insurance from $10,000 to $100,000. Term Life Insurance coverage from $25,000 to $250,000 is also available for simplified products. Term lengths from 10 to 30 years are available. State Employees Credit Union can help you get started with a diversified stock and bond portfolio to build savings over the long term. Whether you have an IRA, Roth IRA or SEP IRA, Credit Union Investment Services charges an annual fee of 0.25%. Investment accounts are designed for investors who have a time horizon of at least 5 years and have at least $250 available to invest towards financial goals. Membership is primarily limited to state and eligible federal government employees. ✅ Extensive Network of Branches: In North Carolina SECU branches are widely available – over 250 exist – as well as 1,000 ATMs. ❌ Monthly Checking Account Fee: Although only $1 monthly, it is annoying to see a monthly fee on your checking account. ✅ Checking Account Interest: Even checking account balances, which typically do not earn interest, receive a nominal APR. ❌ Geographic Coverage: SECU is primarily for North Carolina residents though some products are available to members with homes in nearby states. ✅ Loan Products: Whether you are looking for a home loan, auto loan, or personal loan, SECU has a wide variety with reasonable rates, fees and terms. ❌ Membership Eligibility: NCSECU membership is primarily available to employees of the state of North Carolina. ✅ Insurance: Home, auto, health and life insurance products are available at competitive interest rates. ✅ Mobile Website: Although no mobile app is available, the SECU website is mobile responsive. ✅ Investment Accounts: SECU can help you get set up with a low-cost diversified portfolio to target your retirement objectives. ✅ Low Overdraft Fees: You qualify for two days free of overdraft penalties per year but will be dinged $12 per item thereafter. State Employees Credit Union is the second largest credit union in the United States and features extensively all across North Carolina with over 250 branch locations and 1,000 ATMs. No matter what your banking needs, the chances are NCSECU has you covered. The credit union offers home, auto, and personal loans, insurance for your home, health, auto and life, as well as investment products, such as annuities. A standout feature is that each member earns interest on checking account balances, but a $1 monthly charge applies to each checking account balance too. You can even get help with estate planning, probates, wills, guardianships and powers of attorney. Perhaps the biggest drawback is that the NCSECU is primarily available to employees of the state of North Carolina and eligible federal employees. ‹ Mobiloans Review 2019 – Fast Cash But At What Price?